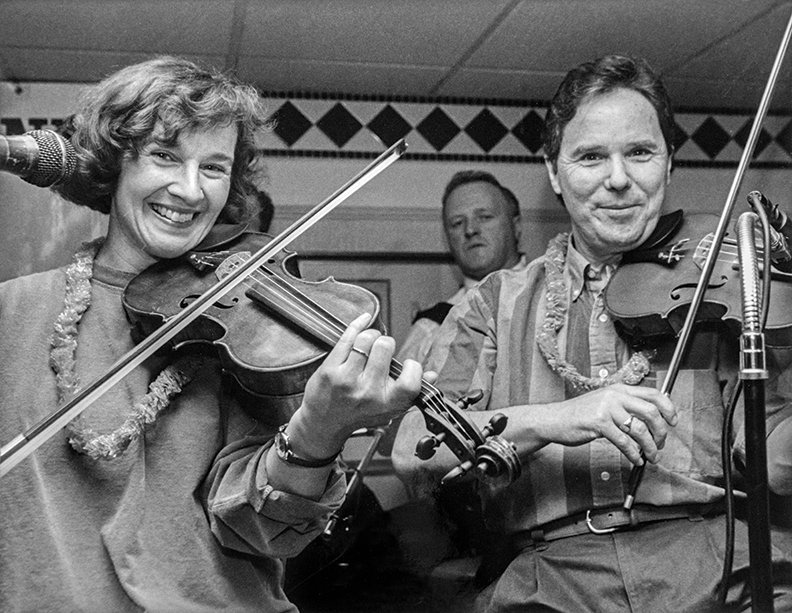 Connolly, third from left, on fiddle, and fellow Irish musicians rehearse for the 1991 documentary The Music Makers: Séamus Connolly and Friends. Photograph: Higgins and Ross / John J. Burns Library. Click image to enlarge. 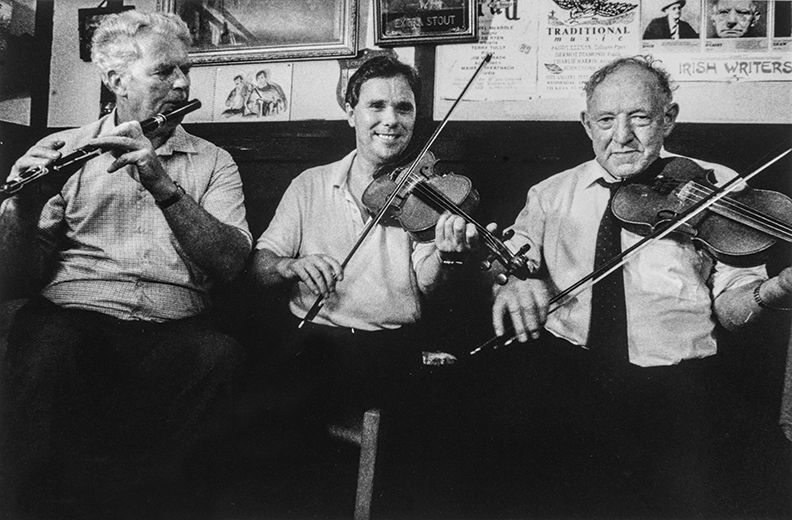 Irish music is among the most prominent global representations of Irishness. Genres range across traditional, popular, and classical music—the fifes, drums, flutes, and lambegs of the Northern Unionists; the rock sounds of bands such as U2 and the Pogues; the musical fusions created by composers such as Bill Whelan, of Riverdance; and the magisterial collaborations between traditional and classical musicians spearheaded by innovators like Mícheál Ó Súilleabháin and Shaun Davey. But it is traditional Irish instrumental music that remains the core: music played on instruments such as the fiddle, uilleann (pronounced “illen”) pipes, flute, concertina, accordion, tenor banjo, harp, and tin whistle—music that’s been preserved for centuries in efforts dating back to 1724, when the father-and-son team of John and William Neal of Dublin, instrument makers and concert promoters, published the first volume of Irish traditional music, the 49-melody A Collection of the Most Celebrated Irish Tunes: Proper for the Violin, German Flute or Hautboy. Nearly 300 years later, a new work of preservation and dissemination, The Séamus Connolly Collection of Irish Music, has been published by the Boston College Libraries. Launched in October 2016, this online compilation features traditional music collected and curated by master fiddle player Séamus Connolly. A renowned teacher, impresario, and composer, Connolly was the Sullivan Artist in Residence at Boston College at the Burns Library from 2004 until his retirement in 2015. He is also a legendary player of 20th-century Irish traditional music, winning 10 all-Ireland solo championships, an achievement that seems unlikely to be surpassed. In 2013, the country he adopted in 1976 declared him a National Heritage Fellow, the most distinguished award bestowed by the United States upon practitioners of traditional arts. 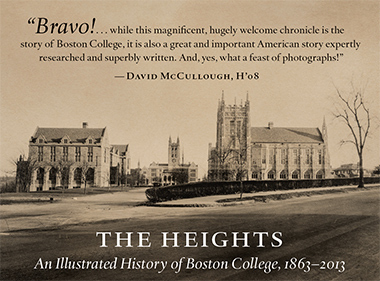 The collection developed by Boston College offers 338 audio recordings, featuring more than 130 musicians, with accompanying commentary, stories, musical transcriptions, and several specialized essays by scholars and music journalists. 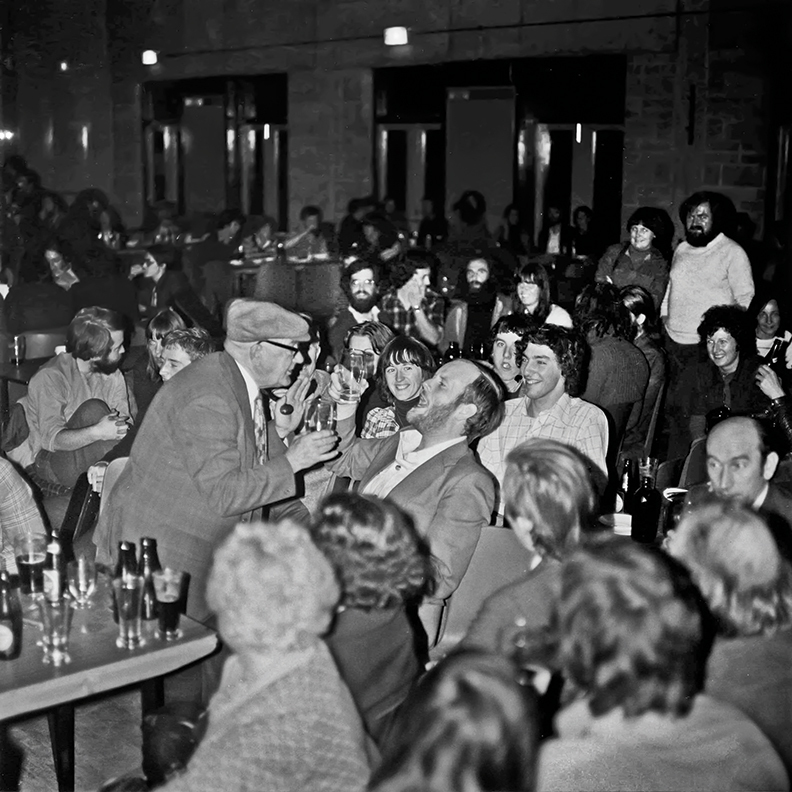 While the largest Irish music archives in Ireland are severely constrained by copyright law, the materials on the Connolly Collection site can be downloaded or printed under a Creative Commons license, thanks to the foresight of Connolly and his librarian collaborators. Scores of traditional music collections have been produced since the publication of the Neal volume. During the 19th century, inspired by the nationalistic movements sweeping Europe, earnest Irish antiquarians hurried to preserve a national art that appeared to be in danger of disappearing. Their work was not in vain. 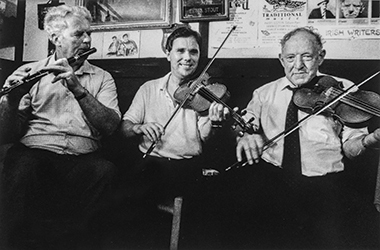 Over the past 50 years, these collections, and others published in the 20th century, have been a primary resource for the global renaissance of Irish music. It’s not volume that makes the Connolly Collection special. The 338-piece grouping is dwarfed by 1909’s Pigot Collection—”842 Irish Airs and Songs Hitherto Unpublished”—which was assembled by Dublin lawyer John Edward Pigot (1822–71). And the tunes amassed by Canon James Goodman (1822–96), a Church of Ireland minister who himself played the pipes and preached in Gaelic, number nearly 2,500. What the Connolly Collection offers, however, is depth, Connolly’s singular taste, and a manifestation of its time, which is pretty much the span of the 72-year-old Connolly’s life, at least from the moment when he first heard Irish music performed as a young child and, according to family lore, climbed a stage to stand with the musicians and pretend to play a fiddle with them. The music is sorted by categories. In dance: reels, barn dances, flings, jigs, slides, highlands, schottisches, clog dances, strathspeys, waltzes, polkas, hornpipes. In non-dance: airs, marches, planxties. The most arcane category is that of galliard, a form popular in Europe during the 16th century. A few songs are also offered and one instance of “mouth music”—a form of vocalizing that mimics the sound of instruments. The audio recordings are sometimes field samples but more frequently were made by contemporary performers selected and enlisted by Connolly. These range from such eminences as the globally renowned Clare fiddler Martin Hayes to gifted locals, such as the Maine flute player Nicole Rabata. Complementing the entries, Connolly offers musical transcriptions and a reflection on each tune or song, which more often than not involves a meeting with the composer or the person from whom he learned the music or both. Though often thought to be representative, collections of Irish music assembled over the past two centuries have invariably been filtered through the aesthetic sensibilities of the curators. If the Irish painter George Petrie (1790–1866) thought a song or tune was weak, he simply did not include it in his important 1855 Collection of the Ancient Music of Ireland. Likewise, when the classical musician Edward Bunting (1773–1843), another devotee of “ancient Irish music,” thought a tune to be an inferior recent composition, he left it out of the seminal three-volume collection he published between 1796 and 1840. Working in that tradition, what Connolly offers is a selection of tunes and songs filtered through the aesthetic sensibility of a master musician with impeccable taste. Seekers of top-40 Irish folk tunes, or songs that Irish traditional musicians might consider common or overplayed, should look elsewhere. Connolly, rather, adheres to an aesthetic rooted in what some musicians call “The Pure Drop”—the perceived core of the tradition. And judgment in this arena of Irish music, which is without an inherited canon of formal criticism such as exists for Western classical music, comes down to an individual’s informed taste and discernment. Similar considerations are in play when one is trying to come to terms with the notion of excellence in traditional instrumental playing. Virtuosity, ornamentation, tone, technique, and intonation are among the variables, but how they are valued depends on one’s taste—and hopefully a sensibility that has been honed by years and experience. As did Harte, Connolly has such years and such experience. It should be noted, however, that Connolly is no antiquarian. There are as many new compositions and songs in his collection as there are ancient ones, and as many young musicians as veterans. The Séamus Connolly Collection is a record not just of music and its social and historical contexts, but of Connolly’s life as a musician. 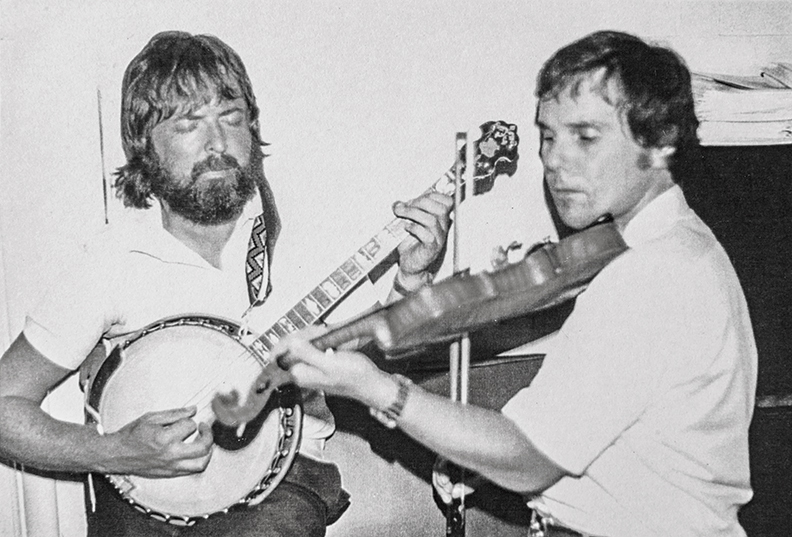 The recordings themselves manifest the relationships Connolly built with fellow players over the decades. These friendships are why the participants agreed to donate their talents, to create original performances, and to make their art available without charge. Among the recordings are some that seem to me particularly important. 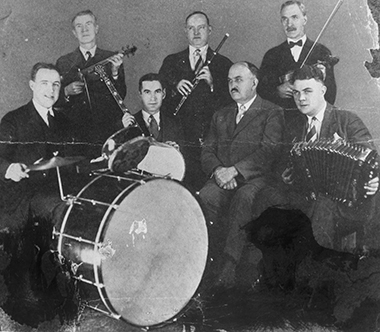 Of the great musicians who played Irish music in Boston over the past century, none was more celebrated that Dan Sullivan (1874–1948) who was a Tin Pan Alley songwriter, piano player, and leader of Dan Sullivan’s Shamrock Band, which recorded prodigiously in the 1920s and early 1930s. His band members numbered some of the finest Boston musicians of the early 20th century. 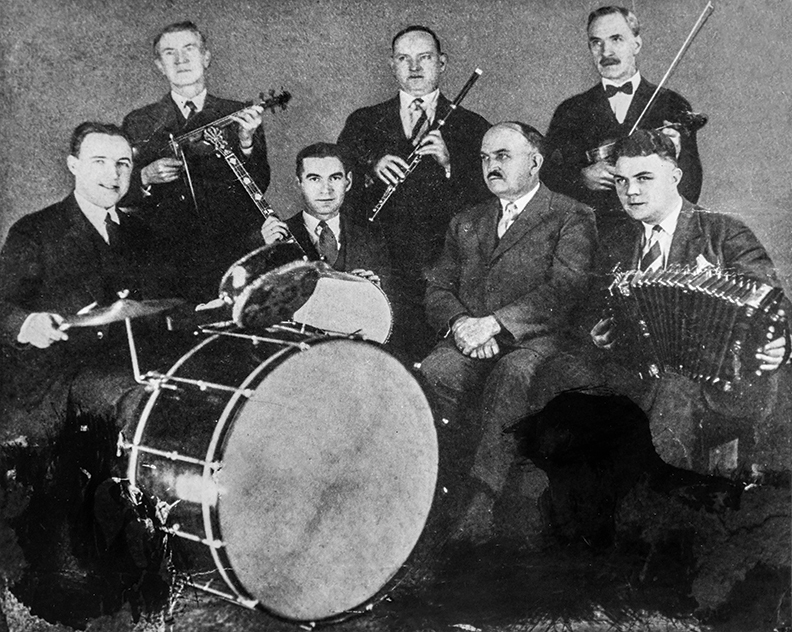 The Connolly collection brings his music alive through no fewer than five stellar recordings dating from the 1920s, and new recordings of pieces such as “Dan Sullivan’s Favorite,” played beautifully by New York uilleann piper Jerry O’Sullivan who also plays on nine other pieces in the collection. 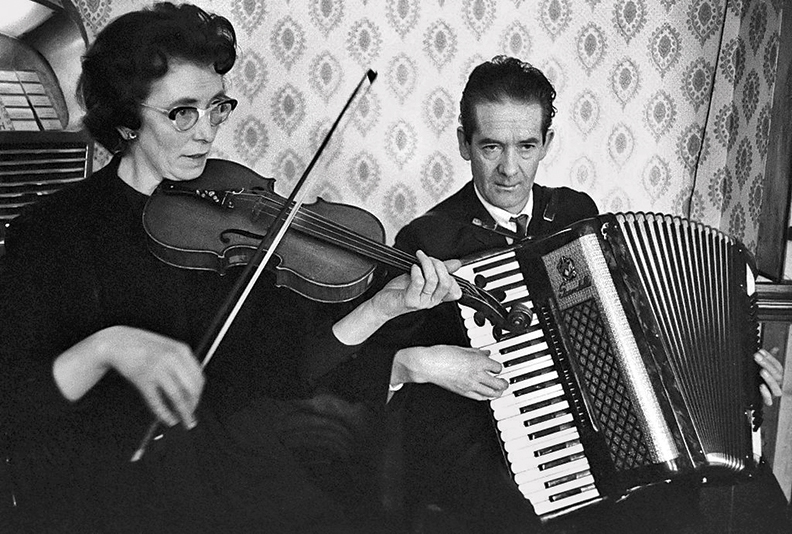 On both sides of the Atlantic, Irish traditional music was essentially a male-dominated tradition up to the 1970s. 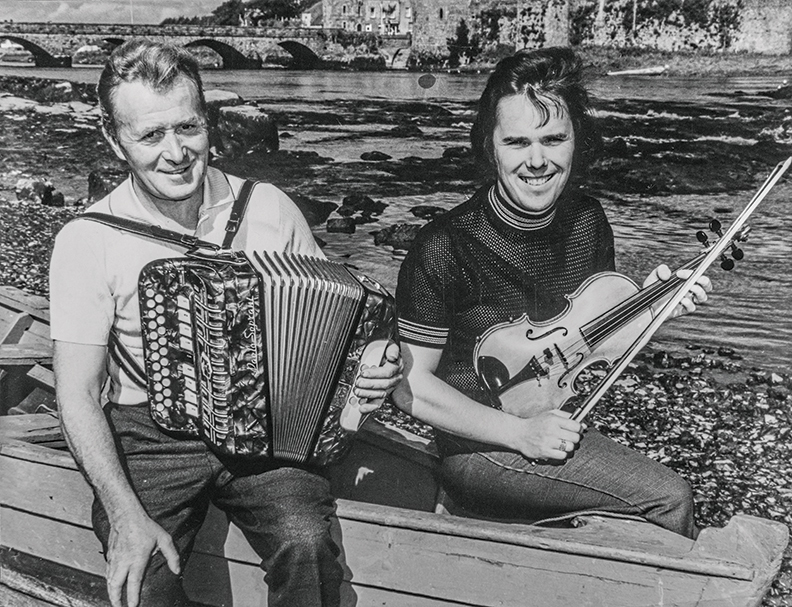 One of the few women musicians who played Irish music in public prior to that time was Julia Clifford, a redoubtable County Kerry woman with the strongest of personalities. The first piece of dance music in the Connolly collection features her playing a lovely reel called “Old Torn Petticoat.” The story Connolly tells of the effect on his life of meeting her underscores, I think, his main rationale for spending more than a decade on this challenging project: gratitude. The collection also features four songs from the charismatic singer Robbie McMahon, who like Connolly came from east County Clare, including “Spancilhill,” one of the Clare anthems of the emigrant experience. Connolly is again poignant both in his knowledge of the music and in his warm recollection of his past. Connolly concludes his essay on how the collection came to be, and the troubled stages he went through during a decade of work on the project, with a reflection on “The Parting Glass,” a classic song of farewell popularized by Tommy Makem and the Clancy Brothers in the 1960s, but with roots that are believed to date back to 17th-century Scotland. 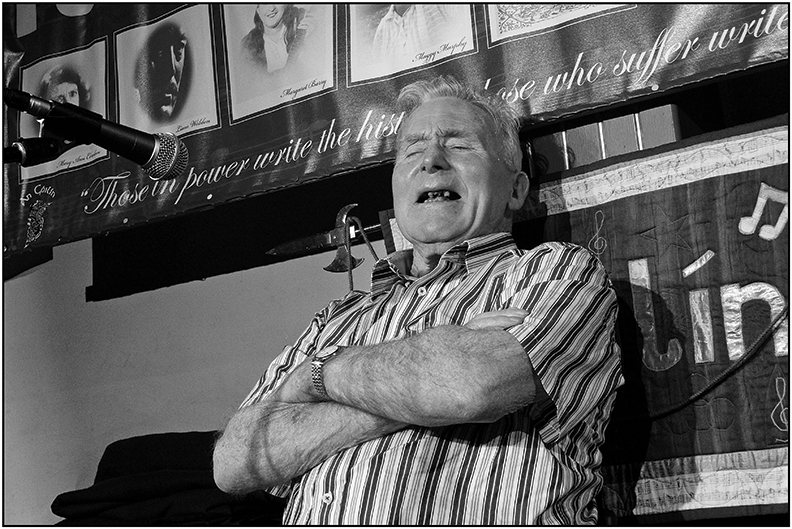 It is performed for the collection by legendary Northern Ireland singer Len Graham. Who will benefit most from this treasury? To some degree anyone interested in Irish and Irish-American history and culture. But its enduring beneficiaries are likely to be scholars of Irish music and musicians and singers. Connolly has built a storehouse of tunes he personally respects—that seem to him well worth preserving—and while many of the tunes will be unfamiliar to listeners, the fact is that many will now end up in the repertoires, recordings, and concert performances of musicians over the next decades, who will then themselves determine what should be passed on. This is the folkloric tradition at work. Mick Moloney is a folklorist, musician, and professor of music and Irish studies at New York University. He is the author of Far From the Shamrock Shore: The Story of Irish Immigration Through Song (2002) and Across the Western Ocean: Songs of Leaving and Arriving (2016). The Séamus Connolly Collection of Irish Music project team at Boston College Libraries included Irish music librarian Elizabeth Sweeney, digital archives specialist Jack Kearney, digital publishing assistant Nancy Adams, senior digital scholarship librarian Anna Kijas, web design and communication specialist Chris Houston-Ponchak, and web applications developer Ben Florin.